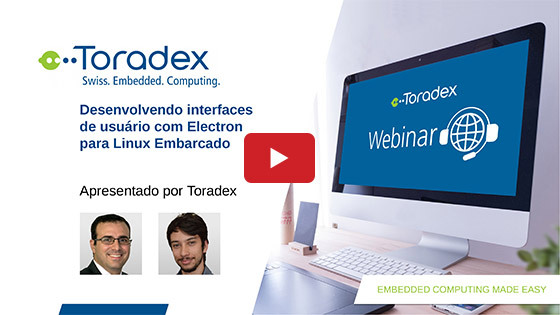 A related webinar recording, Introducing the i.MX 7 System-on-Chip - presented by Toradex and NXP is available in English. The fundamental prerequisites for a successful product development nowadays are using solutions that can provide low-power consumption, better connectivity, advanced security features, and faster time to market. The increasing technical requirements are due to the need for highly interactive interfaces which are expected by today´s users and the connectivity required for the IoT. This trend generates new challenges for embedded systems engineers and motivates them to conduct long hours of discussions around the system to guarantee the determinism and controlled performances while multimedia and other numerous processes are also requesting parallel CPU usage. The Heterogeneous Multicore Processing architecture of the i.MX7 is composed of single/dual Cortex-A7@1GHz and a single Cortex-M4@200MHz which provides a unique solution when real-time interactive interfaces and connectivity are all important requirements. The single/dual Cortex-A7 cores can run a high abstraction OS, like Linux, allowing the simplification of interface and connectivity development whereas the Cortex-M4 core can run a Real-time OS, like FreeRTOS, handling real-time control and other important tasks. 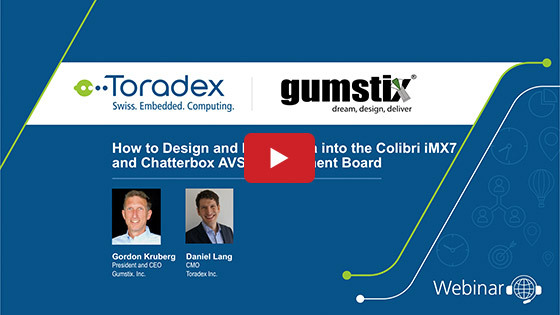 Toradex presents the Colibri iMX7 as the new member of its Colibri family. It is a small form-factor, industrial, and pin-compatible Arm® System on module family. 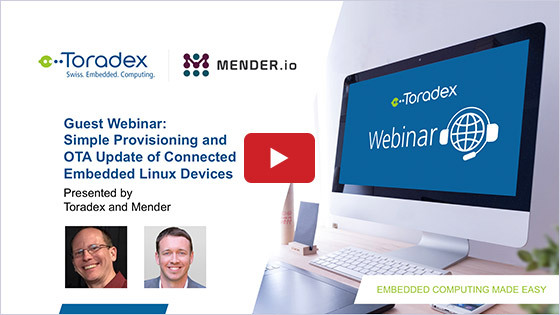 In this webinar video, Bruno Castelucci from NXP discuss the HMP (heterogeneous multicore processing) approach and explain the first steps to develop your next embedded system.